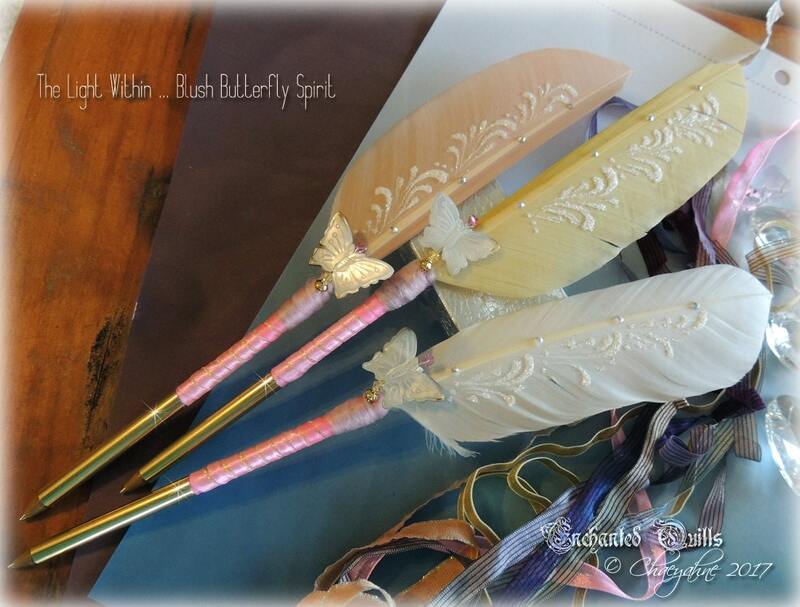 Beautiful, OOAK handcrafted & painted by Master Pen Crafter, ChaeyAhne. 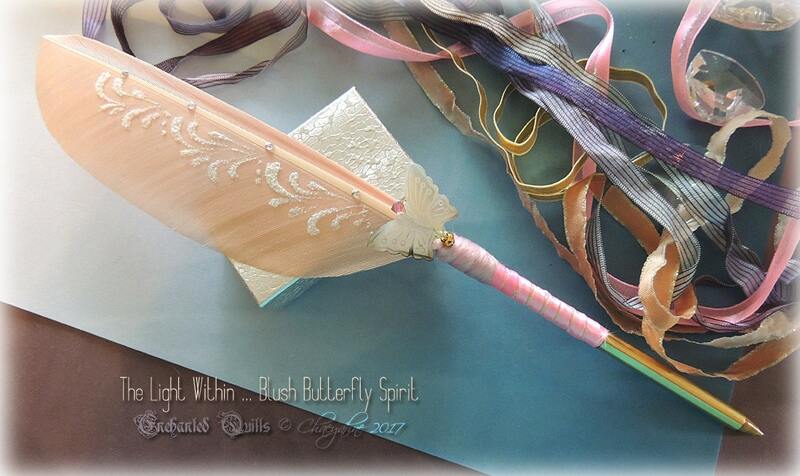 In muted shades of blush pink, blush yellow & pale white with gold, this 13+ inch pen comes bearing the totem of Butterfly. 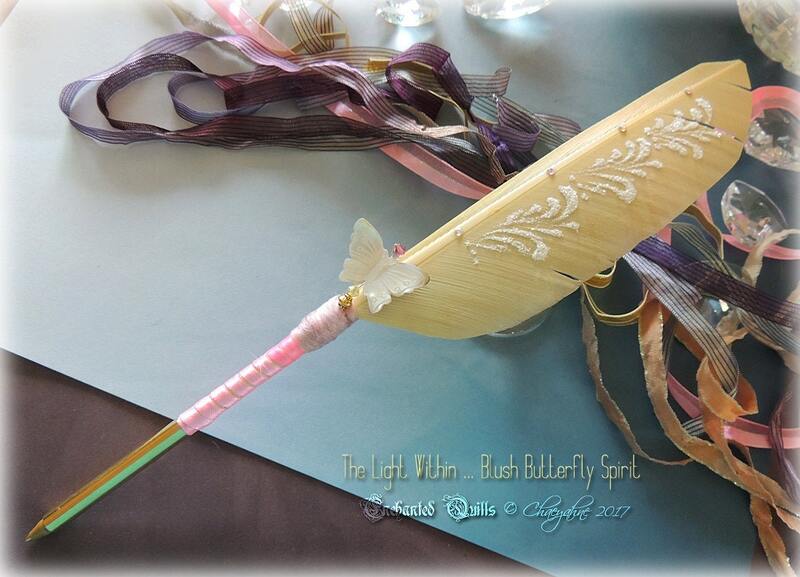 It is crafted with a custom golden writing shaft, with pale satin ribbon wrapping, and a lovely MOTHER OF PEARL carved butterfly totem accent. 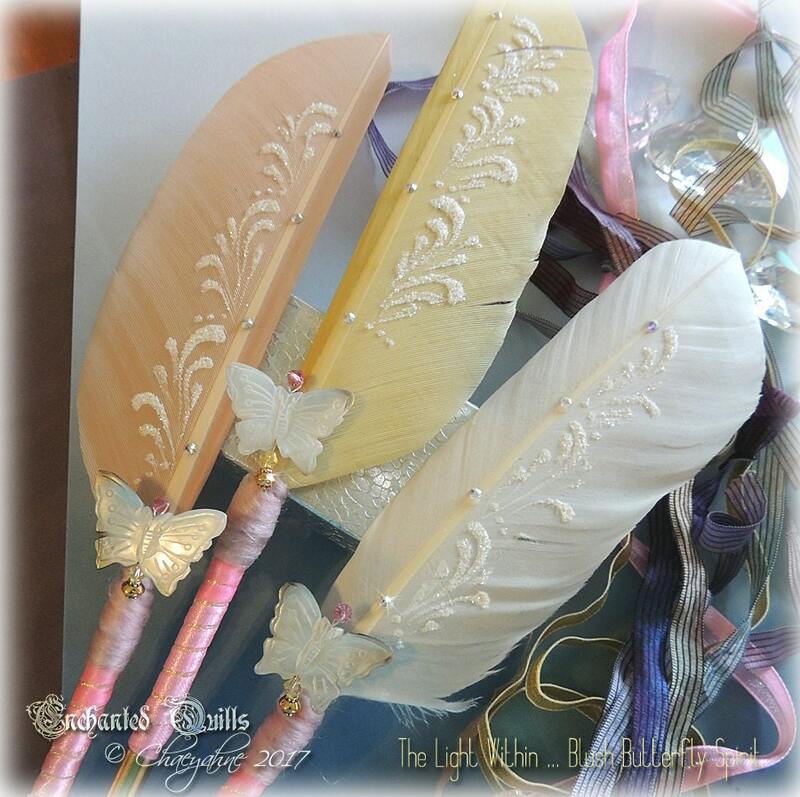 The quill has been painted in faerie dusted white, and no two of these pens will ever be the same due to this technique. This pen writes in black. This is an exclusive CSD design, and is of course one-of-a-kind. Beadwork: OOAK carved mother of pearl butterfly, swarovski crystal beads, & glass beads. 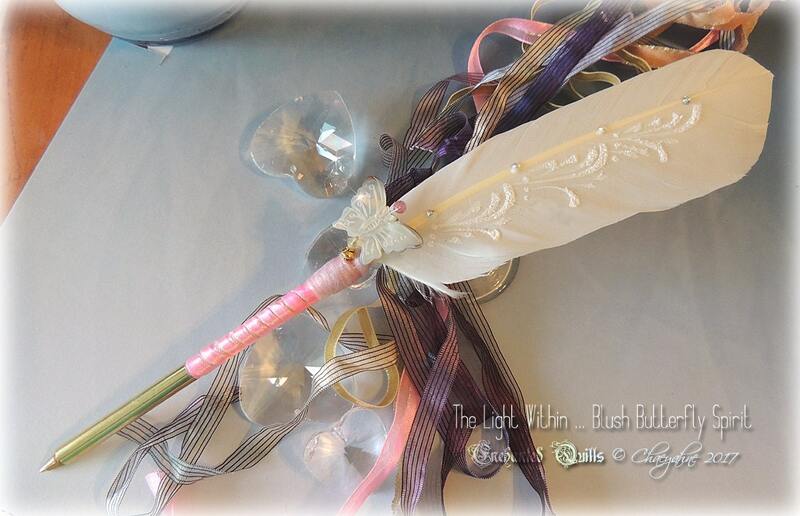 There is an option for gift boxing for this quill, otherwise it will come wrapped in tissue, and complete with my CSD studio certificate of authenticity. This animal totem is primarily associated with symbolism of lightness, change and transformation. A secondary meaning of the butterfly is about finding joy in life and lightness of being. All images, graphics, and content in relation to ChaeyAhne's Artistry & Designwork, INCLUDING wording etc., within the Enchanted Quills Etsy store are ©ChaeyAhne SilverFox Designs, 1983-2017. All rights reserved.